MIA Photo Fair, the photo art fair directed by Fabio Castelli and Lorenza Castelli, returns in Milan for its sixth edition. Visit MyTemplArt® stand on 2/b and discover new solutions to support authentication processes for artworks. 80 galleries from 13 different countries worldwide, with 230 artists exhibited in 109 booths, 15 specialized publishers and 16 independent artists: these are the figures of the sixth edition of MIA Photo Fair, the fair dedicated to art photography, conceived and directed by Fabio Castelli and due to be held at The Mall, at the new business district of Porta Nuova, Milan, from Thursday April 28th, inauguration day by invitation only, to Monday, May 2nd, 2016. 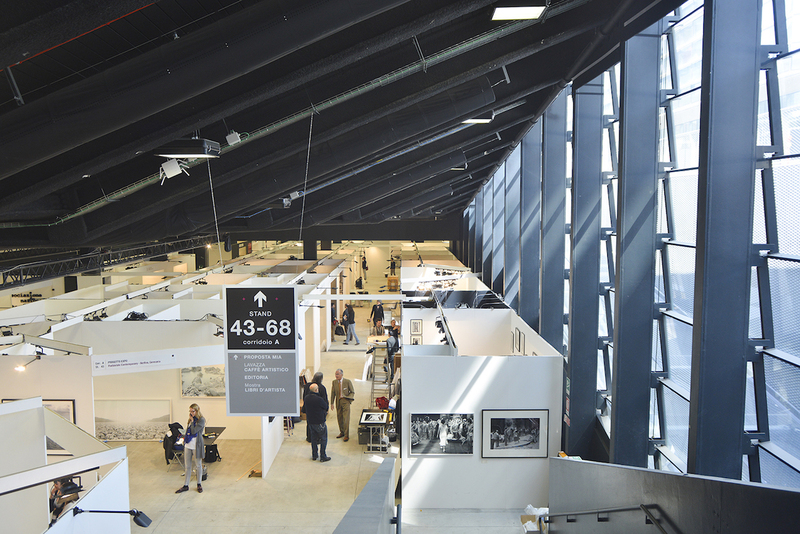 Under the patronage of Regione Lombardia, the Metropolitan City of Milan and Comune di Milano, MIA Photo Fair is supported by its main sponsors BNL BNP Paribas Group and Lavazzaand by the sponsor Eberhard & Co.
After the success of the 2015 edition (with over 22,000 visitors), MIA Photo Fair has decided to extend the period of the fair, which now welcomes visitors from Thursday until Monday. In addition to its established arrangement, characterised by the participation of galleries with their collective exhibitions and monographic projects, the fair also features Proposta MIA, in which a selection of photographers present their work individually. MyTemplArt® is with its own stand. The team is available to show MyTemplArt® solutions and the new authentication services through demos and simulations. In the stand artworks by Luigi Gattinara are exhibited that allow to see live QR-Code MyTemplArt® Authentication System working on the Certificate of Authenticity and the interaction with two MyTemplArt apps*. Don’t loose the cultural programme www.miafair.it/milano/eventi/. MyTemplArt® partecipates in events. Friday, April 29th at 6 pm, MyTemplArt® will present these services during the talk Certify the authenticity of artworks. The technology supports “art” system. The artists Luigi Gattinara and Alex Pinna will talk about the certification and the importance of ensuring the authenticity in the artistic sector. Gianni Pasquetto, MyTemplArt® General Manager, and Paola Sacconi, MyTemplArt® Communication Manager, will analyse Project advantages in relation to these topics. COLLECTION MIA is the online platform of MIA Photo Fair. For the first time worldwide a contemporary art fair conceives a marketplace for online sales. Collection MIA fosters contemporary art collection, through the acquisition of photography artworks directly from galleries and artists. The platform offers for sale a curated selection of some of the artworks exhibited in the various editions of MIA Photo Fair, giving the opportunity to facilitate and enrich a photography art collection. Visitors will be able to look up for the desired artwork and easily buy it online on a secure marketplace. Collection MIA, together with the partner vendors, will take care of packaging and shipping the artwork, accompanied by the certificate of authenticity. *For more informations about MyTemplArt® new services, read the article http://news.mytemplart.com/mytemplart-revolutionizes-the-authentication-process-of-the-artworks-at-mia-photo-fair-2016-in-milan/ or contact us. Piazza Lina Bo Bardi, 1 (Viale della Liberazione angolo Via Galileo Galilei, sotto la Diamond Tower), Milan, Italy.